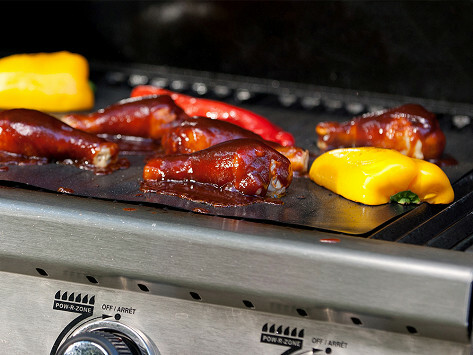 A flexible nonstick surface that can withstand heat up to 500°F. Foods don't stick so you use less oil. Mats can go right on the grill. This is so much easier than cleaning the grill after every use. It is long lasting and cleans up well. This is a must for grilling shrimp, scallops and other fish. My son, who does most of our family barbecuing absolute loves the sheets. Works great on the grill! I love it for cooking vegetables or fish on the grill. 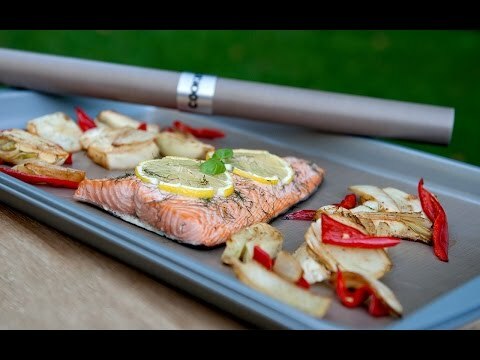 The multifunction Cookina is equally impressive in the kitchen, as a baking sheet or as a liner for ovens and microwaves. After each use, cleanup is simple. Just wipe the double-sided mat clean with warm, soapy water, and it won’t hold onto any food odors. Where has this been all our lives?